We have been putting in some serious hours CADing away at the drive train. It may look simple from the screenshot below but there is going to be a lot going on once it's all finished. The modules are heavily inspired by Aren Hill and Team Neutrino's Butterfly Drive from 2013. They were our pit neighbors at IRI and gave us an awesome tour of the robot. We broke off into a few groups to design some new prototypes today. Started working on a CAM powered launcher. 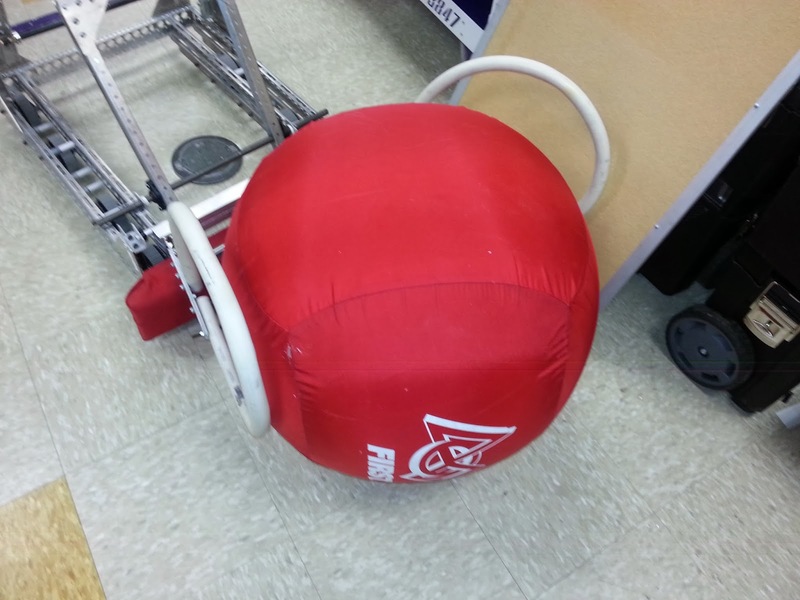 We wanted a CAM profile and weren't sure where to get a quick one to test with, but then we remembered our friends 148 used CAM on their 2010 robot, Armadillo. The CAD for that robot can be found on FRCDesigns.com. 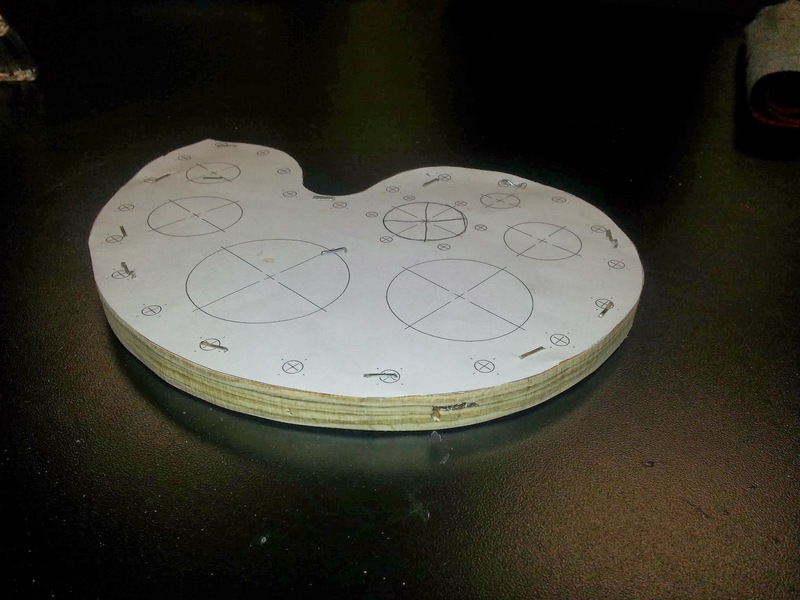 We printed out a 1:1 version of it and cut it out of plywood on the bandsaw. Hopefully we will get something going in the next day or two. 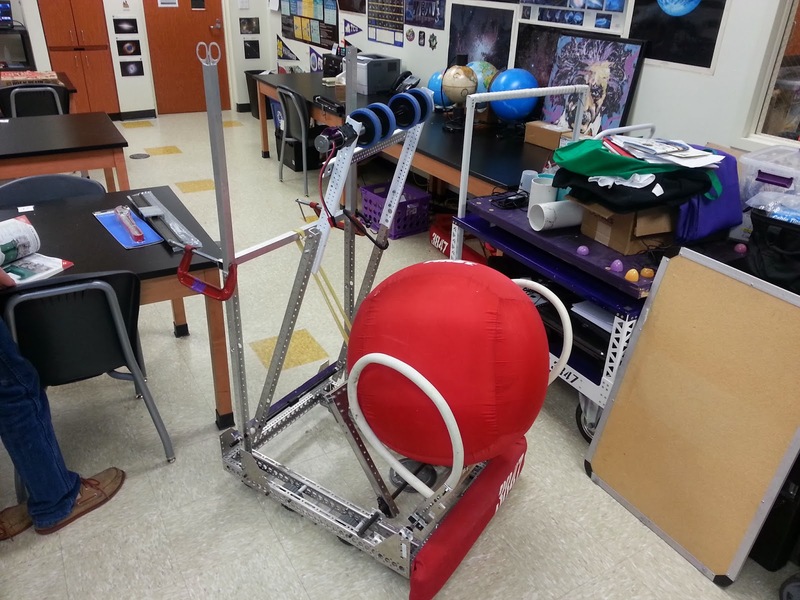 While looking for other collector options to test in parallel with our roller claw development, we worked on a version of 118's Ballacuda pickup system from their 2008 robot. We don't plan to use any of these systems verbatim, but starting from where someone else has already been allows us to develop solutions much faster. Everything still has to be tested, modified, and tuned for this years game requirements.